Weathering, the water rises in Big Bend national park. When the water rises the minerals and soil and rocks wash out and move to different places. Erosion in the desert, after a heavy rain storm it is very common to have a flash flood. Another way of erosion is Wind erosion, the dessert also has sand storms which takes a lot of wind to do it. Deposition in the desert, sand dunes also help capture materials that blow and move around. 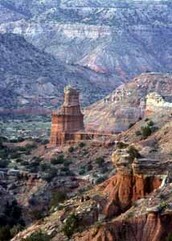 Some plants that are native to the Desert Biome of Texas are plants such as honey mesquite, prickly pear cactus', and bur oaks. These plants are essential to thee desert biome and help the ecosystem thrive. 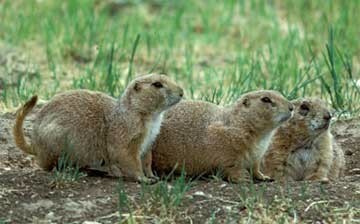 Some animals that are common to the desert biome are prairie dogs, roadrunners, greenjays, Hawks, and white tailed deer. There are many more, but there's not enough space to list all of them. These animals are all part of the food web, for example roadrunners eat plants and then Hawks eat roadrunners. They all work together to help create a balanced ecosystem. The climate here is very hot and very dry, and consists of about 15-25 in. of rainfall a year. It is very cold in the night.